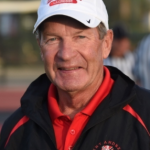 I have learned so much from Coach Tony Seaman, he was coaching transition lacrosse long before it was as popular as we find today. In my recent podcast, Coach shared a new look on his traditional West Genny Drill that they use in practice at St. Andrews as well as the Denver Outlaws. Most Coaches run variations of the West Genny 3V2 transition drill with players flying up and down a short field. You can run this drill with new defenders (2) entering the drill waiting in the defensive end, you might run this drill with offensive players sprinting back to play defense, with the last to touch on the offensive end out of the drill as three new offensive players enter the drill with a quick outlet pass from the goalie, or Bill Tierney runs a variation where the new defensive players enter the drill from midpoint in the short field, all kind of variations.